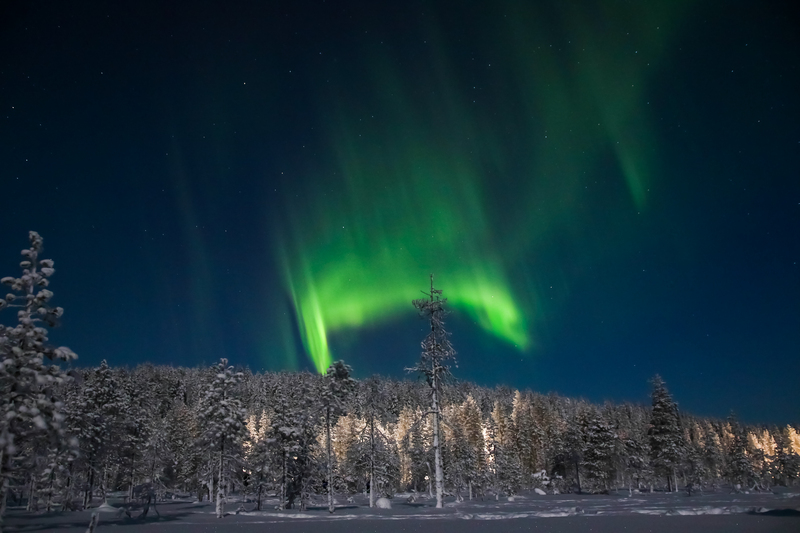 When it gets dark, we will walk through the silent dark forest to the fire place where we stop for a hot drink and look at the sky in search of the magical Aurora Borealis. 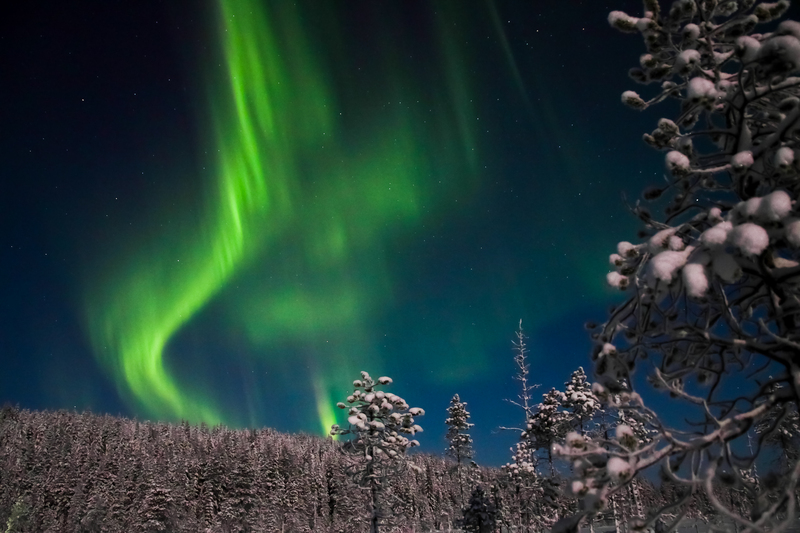 Our guide will tell facts and stories about the Northern lights and if we are lucky enough, we might see those magnificent lights. 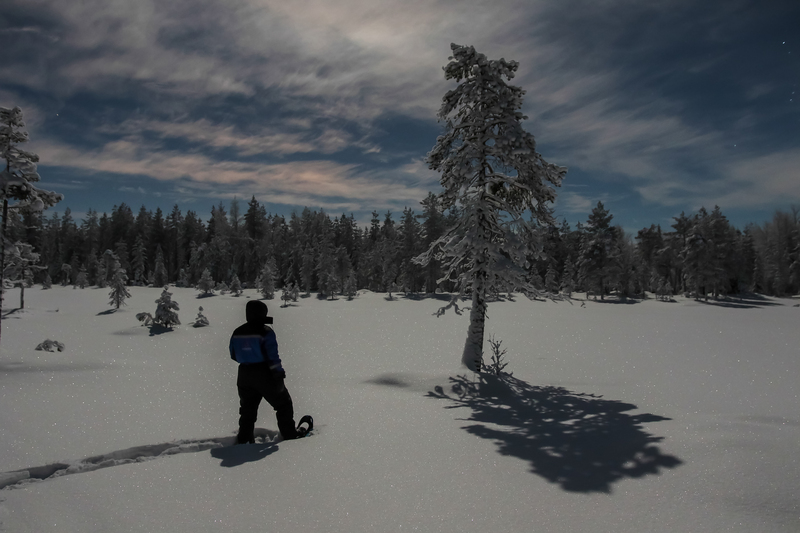 Snowy nature looks totally different in the darkness and you can definitely feel the mysticism of Lapland.